In a FAST’16 article I recently read (Flash reliability in production: the expected and unexpected, see p. 67), researchers at Google reported on field experience with flash drives in their data centers, totaling many millions of drive days covering MLC, eMLC and SLC drives with a minimum of 4 years of production use (3 years for eMLC). In some cases, they had 2 generations of the same drive in their field population. SSD reliability in the field is not what I would have expected and was a surprise to Google as well. The SSDs seem to be used in a number of different application areas but mainly as SSDs with a custom designed PCIe interface (FusionIO drives maybe?). Aside from the technology changes, there were some lithographic changes as well from 50 to 34nm for SLC and 50 to 43nm for MLC drives and from 32 to 25nm for eMLC NAND technology. 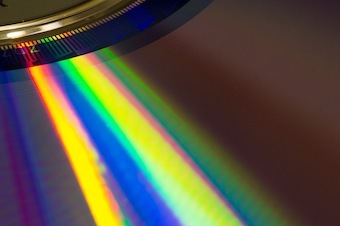 A group of researchers at the University of Southhampton in the UK have invented a new type of optical recording, based on femto-second laser pulses and silica/quartz media that can store up to 300TB per (1″ diameter) disc platter with thermal stability at up to 1000°C or a media life of up to 13.8B years at room temperature (190°C?). The claim is that the memory device could outlive humanity and maybe the universe. The new media/recording technique was used recently to create copies of text files (Holy Bible, pictured above). Other significant humanitarian, political and scientific treatise have also been stored on the new media. The new device has been nicknamed “Superman Memory Crystal”, due to the memory glass (quartz) likeness to Superman’s memory crystals. We have written before on long term archives(See Super Long Term Archive and Today’s data and the 1000 year archive posts) but this one beats them all by many orders of magnitude. Read an article this past week in Scientific American about a new fused silica glass storage device from Hitachi Ltd., announced last September. The new media is recorded with lasers burning dots which represent binary one or leaving spaces which represents binary 0 onto the media. As can be seen in the photos above, the data can readily be read by microscope which makes it pretty easy for some future civilization to read the binary data. However, knowing how to decode the binary data into pictures, documents and text is another matter entirely. We have discussed the format problem before in our Today’s data and the 1000 year archive as well as Digital Rosetta stone vs. 3D barcodes posts. And this new technology would complete with the currently available, M-disc long term achive-able, DVD technology from Millenniata which we have also talked about before. Hitachi tested the new fused silica glass storage media at 1000C for several hours which they say indicates that it can survive several 100 million years without degradation. At this level it can provide a 300 million year storage archive (M-disc only claims 1000 years). They are calling their new storage device, “semi-perpetual” storage. If 100s of millions of years is semi-perpetual, I gotta wonder what perpetual storage might look like. 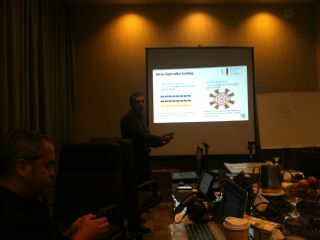 They were able to achieve CD levels of recording density with a four layer approach. This amounted to about 40Mb/sqin. While DVD technology is on the order of 330Mb/sqin and BlueRay is ~15Gb/sqin, but neither of these technologies claim even a million year lifetime. Also, there is the possibility of even more layers so the 40Mb/sqin could double or quadruple potentially. My problem with all this is the data format issue, we will need something like a digital rosetta stone for every data format ever conceived in order to make this a practical digital storage device. Alternatively we could plan to use it more like an analogue storage device, with something like a black and white or grey scale like photographs of information to be retained imprinted in the media. That way, a simple microscope could be used to see the photo image. I suppose color photographs could be implemented using different plates per color, similar to four color magazine production processing. Texts could be handled by just taking a black and white photo of a document and printing them in the media. According to a post I read about the size of the collection at the Library of Congress, they currently have about 3PB of digital data in their collections which in 650MB CD chunks would be about 4.6M CDs. So if there is an intent to copy this data onto the new semi-perpetual storage media for the year 300,002012 we probably ought to start now. In honor of today’s Flash Summit conference, I give my semi-annual amateur view of competing NAND technologies. I was talking with a major storage vendor today and they said they were sampling sub-20nm NAND chips with P/E cycles of 300 with a data retention period under a week at room temperatures. With those specifications these chips almost can’t get out of the factory with any life left in them. Intel-Micron, SanDisk and others have all recently announced 20nm MLC NAND chips with a P/E cycles around 3K to 5K. Nevertheless, as NAND chips go beyond their rated P/E cycle quantities, NAND bit errors increase. With a more powerful ECC algorithm in SSDs and NAND controllers, one can still correct the data coming off the NAND chips. However at some point beyond 24 bit ECC this probably becomes unsustainable. (See interesting post by NexGen on ECC capabilities as NAND die size shrinks). Not sure how to bridge the gap between 3-5K P/E cycles and the 300 P/E cycles being seen by storage vendors above but this may be a function of prototype vs. production technology and possibly it had other characteristics they were interested in. But given the declining endurance of NAND below 20nm, some industry players are investigating other solid state storage technologies to replace NAND, e.g., MRAM, FeRAM, PCM and ReRAM all of which are current contenders, at least from a research perspective. 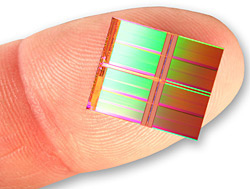 MRAM is currently available in small capacities from Everspin and elsewhere but hasn’t really come up with similar densities on the order of today’s NAND technologies. ReRAM is starting to emerge in low power applications as a substitute for SRAM/DRAM, but it’s still early yet. I haven’t heard much about FeRAM other than last year researchers at Purdue having invented a new non-destructive read FeRAM they call FeTRAM. Standard FeRAMs are already in commercial use, albeit in limited applications from Ramtron and others but density is still a hurdle and write performance is a problem. Recently the PCM approach has heated up as PCM technology is now commercially available being released by Micro. Yes the technology has a long way to go to catch up with NAND densities (available at 45nm technology) but it’s yet another start down a technology pathway to build volume and research ways to reduce cost, increase density and generally improve the technology. In the mean time I hear it’s an order of magnitude faster than NAND. Racetrack memory, a form of MRAM using wires to store multiple bits, isn’t standing still either. Last December, IBM announced they have demonstrated Racetrack memory chips in their labs. 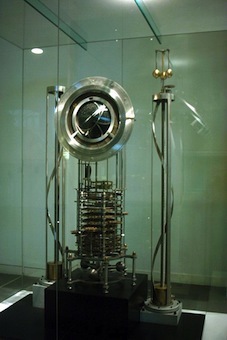 With this milestone IBM has shown how a complete Racetrack memory chip could be fabricated on a CMOS technology lines. However, in the same press release from IBM on recent research results, they announced a new technique to construct CMOS compatible graphene devices on a chip. As we have previously reported, another approach to replacing standard NAND technology uses graphene transistors to replace the storage layer of NAND flash. Graphene NAND holds the promise of increasing density with much better endurance, retention and reliability than today’s NAND. So as of today, NAND is still the king of solid state storage technologies but there are a number of princelings and other emerging pretenders, all vying for its throne of tomorrow. Read an article the other day about scientists creating an optical disk that would be readable in a million years or so. The article in Science Mag titled A million – year hard disk was intended to warn people about potential dangers in the way future that were being created today. A while back I wrote about a 1000 year archive which was predominantly about disappearing formats. At the time, I believed given the growth in data density that information could easily be copied and saved over time but the formats for that data would be long gone by the time someone tried to read it. The million year optical disk eliminates the format problem by using pixelated images etched on media. Which works just dandy if you happen to have a microscope handy. The problem is how do you warn people in the far future not to mess with radioactive waste deposits buried below. If the waste is radioactive for a million years, you need something around to tell people to keep away from it. Stone markers last for a few thousand years at best but get overgrown and wear down in time. For instance, my grandmother’s tombstone in Northern Italy has already been worn down so much that it’s almost unreadable. And that’s not even 80 yrs old yet. But a sapphire hard disk that could easily be read with any serviceable microscope might do the job. This new disk is similar to the old StorageTek 100K year optical tape. Both would depend on microscopic impressions, something like bits physically marked on media. For the optical disk the bits are created by etching a sapphire platter with platinum. Apparently the prototype costs €25K but they’re hoping the prices go down with production. There are actually two 20cm (7.9in) wide disks that are molecularly fused together and each disk can store 40K miniaturized pages that can hold text or images. They are doing accelerated life testing on the sapphire disks by bathing them in acid to insure a 10M year life for the media and message. Presumably the images are grey tone (or in this case platinum tone). If I assume 100Kbytes per page that’s about 4GB, something around a single layer DVD disk in a much larger form factor. It appears that sapphire is available from industrial processes and it seems impervious to wear that harms other material. But that’s what they are trying to prove. Unclear why the decided to “molecularly” fuse two platters together. It seems to me this could easily be a weak link in the technology over the course of dozen millennia or so. On the other hand, more storage is always a good thing. In the end, creating dangers today that last millions of years requires some serious thought about how to warn future generations.